In the recently released book titled “Audience, Relevance, and Search”, three Elliance SEO explanation graphics are featured to illustrate “Step-by-Step Keyword Research”. 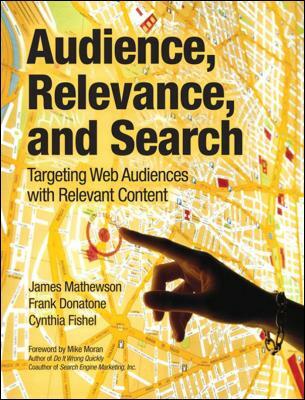 The book is authored by three IBM veterans: James Mathewson, editor-in-chief of IBM.com; Frank Donatone, chief search strategist for IBM.com; and Cynthia Fishel, interactive marketing and branding specialist at IBM. This is the third book published in recent years that has elected to use Elliance SEO infographics to illustrate concepts in search engine marketing. We created the SEO infographics as a community project to advance the practice of search engine marketing. For an entire year, they were featured weekly on Search Engine Land, the second most popular marketing blog on the planet. To see the entire collection, click here. Elliance named one of the Top 10 Agencies of 2008 by Interactive Media Awards.